Notes: Memorial located at Devonport Park, Plymouth. 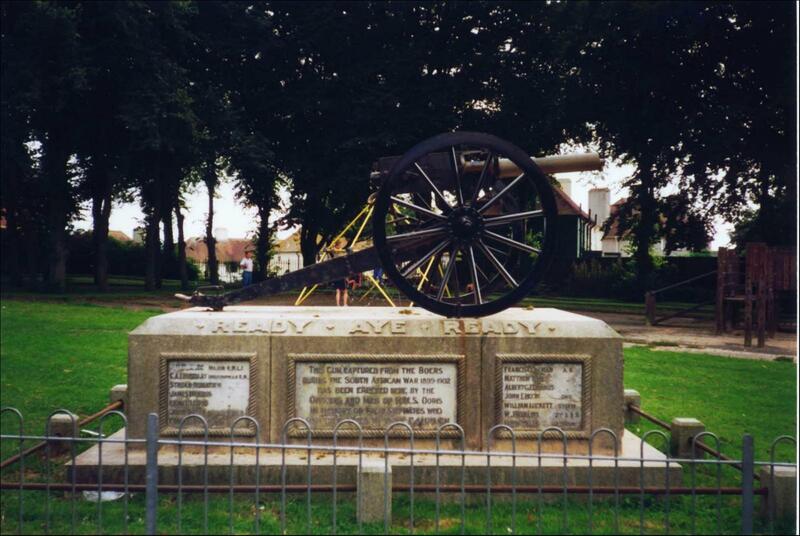 Inscription: This gun captured from the Boers during the South African War 1899-1902 has been erected by the Officers and Men of H.M.S. 'Doris' in memory of their shipmates who lost their lives during the campaign.